The advertising industry needs to stand out while brands should stand for something, Steve Henry, the co-founder of HHCL and Decoded, said, claiming "advertising is too precious". Speaking on JCDecaux’s IAB Digital Upfront panel today, Henry said in the future brands should stick up for what they believed, have an opinion and "stand for something". 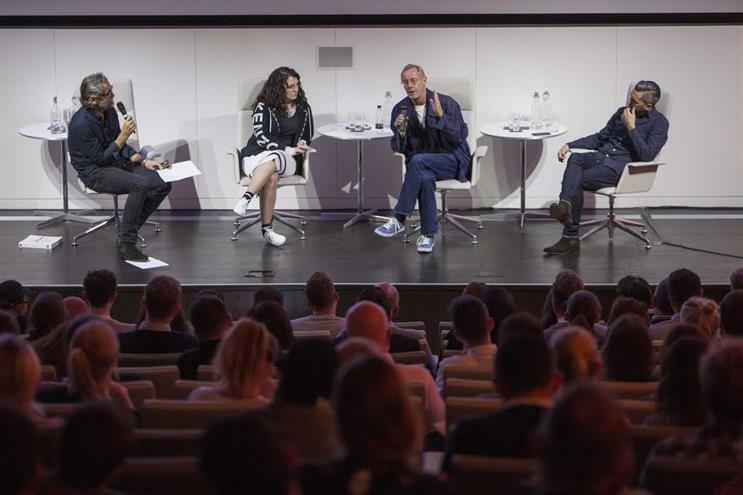 Debating the future of creativity on the panel was also outgoing Grey London chairman and chief creatve officer Nils Leonard, Havas London creative L.A. Royanne and was hosted by D&AD chairman, Tim Lindsay. Henry said the problem with the industry is it makes people feel too anxious. He commented: "Ads shouldn’t be about information but about emotion and insight. Lots of people aren’t engaging with advertising. The ad industry makes people feel anxious. "If you had a friend who told you all the time that your hair was bad, you needed new clothes or that you were ugly, you’d stop being friends with them or punch them in the face." Leonard believed the way technology is incorporated could be part of the industry’s problem. He said: "We’re playing with tech the wrong way. It begs and forces you to make things that are clever but doesn’t move you." Leonard also suggested the outdoor ad industry might need an image overhaul as "outdoor isn’t broken but people’s perception of it is", although conceded at worst an outdoor campaign was like a "word salad for insurance companies". The outgoing Grey creative chief also said the best thing to come out of advertising in the last ten years was ‘skip ads’, which made people think about creativity. Henry urged the industry to stop being "too precious" and said marketing language had to change as it no longer garnered trust amongst consumers. He added: "There’s bankruptcy in the language of marketing, people don’t trust it anymore. We need to braver and more creative, stand out and break the rules but in a way that emotionally connects with the audience."